Has Chemist Warehouse got the Mix right? In a bold move, Chemist Warehouse is moving beyond just advertising on radio to becoming a radio station brand. They are hoping this will be an innovative brand gesture to connect with their audience and drive sales. But have they done it right, or could it actually inflict more damage on the brand than good? 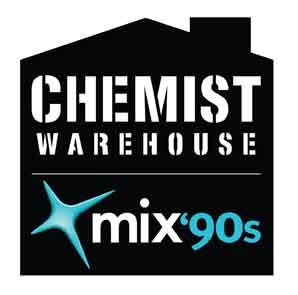 Next month, ARN (parent company of Mix and Gold 104) is launching ‘Chemist Warehouse MIX90s’. It is being publicised as a ‘custom built station’ for Chemist Warehouse, the discount chemist retailer. This is not a closed circuit in-store station but something anyone can listen to via the web, with a smart phone app or with a digital DAB+ radio. ARN claims the station has been designed to appeal to Chemist Warehouse customers both in store and out. As part of the deal, Chemist Warehouse will pipe the station throughout its stores and is guaranteed 100% commercial exclusivity as well as promotional support on the Mix FM network nationally. Chemist Warehouse is hoping it will enhance the in-store experience, attract new customers and increase store visitation. However, this is not really a customised format designed exclusively for Chemist Warehouse customers. ARN had already planned to launch ‘80s and ‘90s format stations. They are using their excess DAB+ capacity to extend their ‘Mix’ brand and this is a way to get some money for it. What Chemist Warehouse is really getting is a station sponsor and naming package for the ‘90s format (a sponsor for the ‘80s format hasn’t been announced yet). Sure, Chemist Warehouse gets exclusivity and naming rights, but I am not convinced a niche ‘90s only format is ideal for their brand. A worthwhile brand gesture requires careful consideration to how well it ‘fits’ with the brand, its personality and its audience. This format is not designed with their broad retail customer base in mind, nor does it feel like it has any relevance to the brand. There isn’t really anything in the approach that will add real value to their customers. In fact, it may impact on the reputation of the Chemist Warehouse brand – making it feel like it is stuck in a strange time warp. 30-somethings feeling reminiscent of their high school years may have some initial interest in listening to ‘90s music, for an hour or two, but the novelty will soon wear off. This will also only appeal to a very small percentage of their target audience – the rest may find it a turn-off. The format just doesn’t seem sustainable, is too niche and maybe even alienating for some of their audience. Unfortunately, this might be a missed opportunity. Any brand gesture needs careful consideration for what it says about the brand and how it will enhance the brand experience for customers. However, this feels like another case of a client being ‘sold’ something without thinking about the brand implications. The sponsorship is just being reversed engineered into a cookie cutter approach that lacks consideration for the audience as well as the reputation of both the Mix and Chemist Warehouse brands. Perhaps a better example is “Radio Free” a radio app created by DMG (Parent of Nova and Classic Rock) for Virgin Mobile. Launched last year, this is a custom designed station specifically for Virgin’s customers. It works on a crowd-sourcing model to populate the top songs as voted by Virgin Mobile listeners. With exclusive, interactive content, this feels more considered, relevant and hence is a valuable brand gesture. What do you think? Is this a valuable brand gesture for Chemist Warehouse? If you were to custom build a radio station for Chemist Warehouse, what would you programme? Director of Brand Strategy, former radio presenter and still in tune with radio! It has taken them a year, but it seems that Chemist Warehouse has finally seen the light and dropped the all 90s playlist. According to Radio Today, “the playlist will now broaden to include all types, from all era’s and will now be called Chemist Warehouse Remix”. 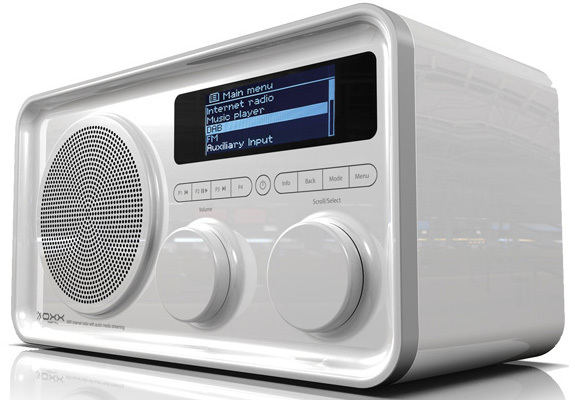 It appears that ARN and Chemist Warehouse’s advertising agency Quattro Group have finally realised a customised radio format is needed to truly engage with the Chemist Warehouse audience – exactly what they should’ve done from day one. Hopefully now, Chemist Warehouse can deliver a true brand gesture to their audience, enhancing the shopping experience, instead just instore noise. However, it isn’t just the music that needs to remixed, I am keen to see how they develop engaging content that enriches the shopping experience. This will need appeal to the broad range of Chemist Warehouse customers but also be time spent instore and the customer’s paths to purchase. Music and advertisements alone do not really ad much value to the customer shopping experience. Great post Michael. I found this really interesting. As I read my initial reaction was that this was such a great brand gesture for Chemist Warehouse. But the more you explored the pros and cons the clearer it became that this was perhaps an opportunity missed, and of greater benefit to the station owners than the brand. I wonder where better opportunities may lie for Chemist Warehouse with this format of brand communication. Perhaps they could sell infomercial space to the owners of the brands they stock on their shelves. The question is how in tune are you really? Michael your opinion piece centres around the commercial arrangement, structure, music genre and, whether the overall concept has strategically hit the mark. Short of setting you and, the record straight I will simply say you have missed the point – BIG TIME. Chemist Warehouse Mix90s is an Australian media first in terms of DAB+ broadcasting with narrowcasting being the ultimate play. With over 250,000 customers in Chemist Warehouse stores daily, it puts the CW Mix 90s cume up there with the major commercial FMs – from day one. Couple this with the statistic that more than 56% of purchase decisions are made at the point of purchase and you begin to realise the size of the opportunity, for the brands as much as for Chemist Warehouse. No doubt as a former employee of Quattro Group, the communications agency that developed Chemist Warehouse Mix90s, you would know that in this hyper-competitive market that it’s all about consumer engagement, enhancing their shopping experience (enjoyable music rates in the top 5) and providing a path to purchase. I appreciate this is a first in terms of a DAB+ station and that’s why I was interested in it. However, the concept of an instore station is not new, although I have no doubt you could do it better than most brands, if it is truly customised. I am not questioning the benefit of having a customised instore radio station for Chemist Warehouse, their business and potentially their customers – if done properly. My point is that the station doesn’t feel like it has been designed for the Chemist Warehouse audience. If the main purpose of this is to reach Chemist Warehouse customers in store and get them to spend more, why a 90s only music format? It just doesn’t feel like it has been designed for Chemist Warehouse customers – unless you have research that says otherwise? Also, do you honestly think the 5-6% that actuallly have digital radios – and the even smaller amount that might occasionally like to have a retrospective moment from the 90s – will appreciate listening to a Chemist branded station spruking their wares? As an former employee of Chemist Warehouse employee (I only left before Christmas), I can honestly say the for the period I worked with them (2 years) they only played the same 100 songs – day in and day out. Their major profits came from E-Pharmacy, where people rang in their orders and NOT from their Chem warehouse shop. Great article, but bad analogy – are you really in tune? All I can say (as an out-of-store listener) is hearing “Chemist Ware­house! !” 600 times a day has me looking for a new station to tune into! I love listening to Chemist Warehouse Mix 90’s,they play some great 90’s music.However,i think the station could be improved by playing more easy listening 90’s music and also by playing the song “High” by Lighthouse Family more than what they do as this is a great song. Also,I wondered if anyone knows how the station’s ratings are going and i think it’ld be good if they played less ads and more music.It’s good having a great 90’s station on the radio not like the other rubbish that’s being played by other stations. Does anyone know of any websites about Chemist Warehouse Mix 90’s and how to make song requests on this station? In response to Michael’s comment,I think that the people that shop at Chemist Warehouse will enjoy listening to the station in store as it plays some great 90’s music which I think a lot of people will enjoy listening to as they do their shopping.I think there’s some great songs from the 90’s that we haven’t heard for a long time. I agree with Damien’s comment and think that the station says “Chemist Warehouse” too much and should only say it once a day.I do like the little cartoons they put on as they’re funny. We made a suggestion to mix 90’s to add the song called “High” by Lighthouse family to their playlist and we also suggested they play music for a solid hour and then just have ads on at the end of that hour only.We also suggested adding the song “lifted” to the playlist again by Lighthouse Family.